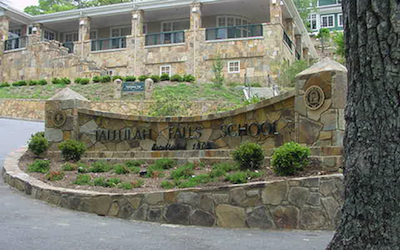 Tallulah Falls School is the only school in the state of Georgia owned and operated by a service organization. It was founded in 1909 by the Georgia Federation of Women’s Clubs, under the leadership of their president, Mrs. Mary Ann Lipscomb. GFWC Dunwoody Woman’s Club is proud to be part of the Georgia Federation and to share in the support and operation of the Tallulah Falls School. It all began when, as a summer resident in the beautiful northeast Georgia mountains, Mrs. Lipscomb of Athens, Georgia met many of the local children and was moved by their hunger for knowledge. She began to teach a few of these children on her front porch, but she knew this was not enough. 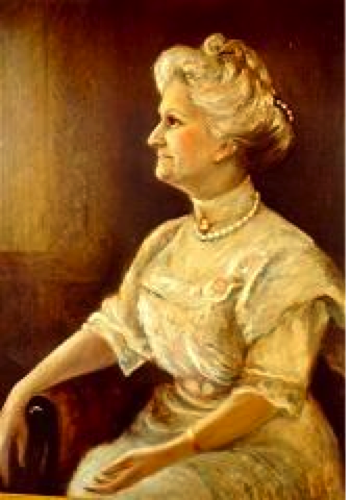 Mrs. Lipscomb saw the need for the children of the area to have a school of their own, and largely through her efforts as president of the Georgia Federation of Women’s Clubs, Tallulah Falls School became a reality. On July 12, 1909, the School opened its doors to 21 children from neighboring Habersham and Rabun Counties and continued to serve as both a public and private institution of learning for more than sixty years. In 1970, the School became a privately chartered institution, serving students from throughout the world. 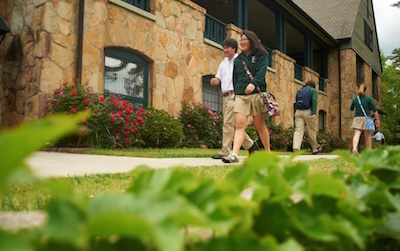 Tallulah Falls School is a co-educational boarding school for grades 7-12 with a student-teacher ratio of 1-11, and prides itself in offering a quality academic program that ensures the success of every student.